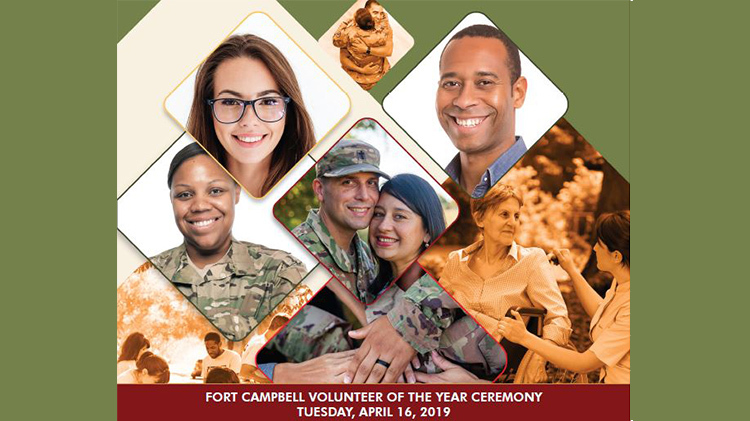 Date: Apr 16 2019, 6 p.m.
Join us as we honor our Fort Campbell Volunteers! The 101st Airborne Division (Air Assault) Band will play. Dinner will be a buffet. Volunteers being honored do not buy a ticket but everyone else attending, including the Family members of the honorees, must purchase a ticket.